As an alternative to the usual motorway route home we decided to take the A7 and A6. The A7 is billed as the historic tourist route to Scotland but we were heading south under clear blue skies. Further on we could see snow on the eastern and northern flanks of some of the Southern Uplands. By this time the sky was overcast and headlights were on. I enjoyed passing through the towns we usually fly past and spotting signs to places which I would like to explore at some point. 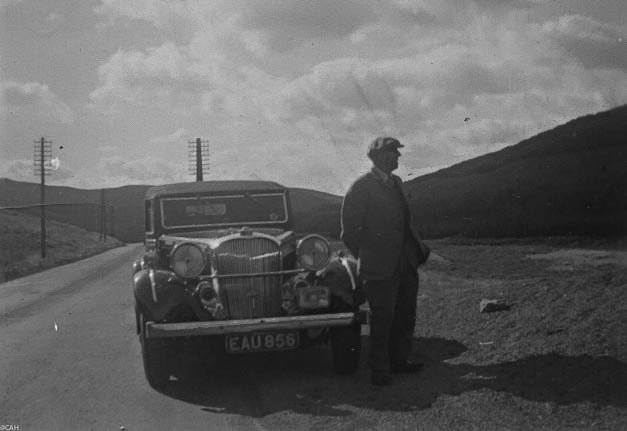 This route is also a historic one for my family so here is a photograph of my great grandfather en route from Derbyshire to Scotland in September 1952, standing beside his Brough Superior at Shap.